Over the last 20 years we’ve seen a dramatic decline in bee populations as a result of harmful pesticides and other environmental challenges. So, Brisbane’s Michael Candy proposed a unique solution. 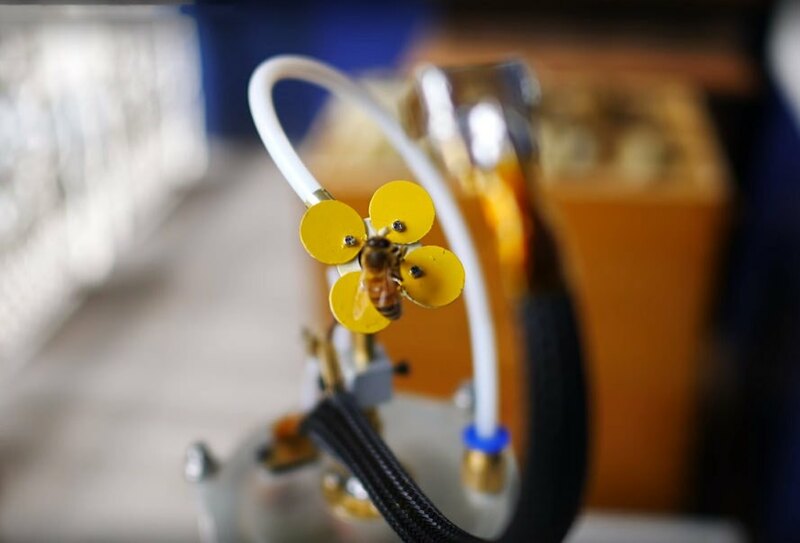 The artist’s Synthetic Pollenizer project combines artificial pollination with 3D printing to provide a safe space for bees to continue their important work as pollinators, without some of the inherent risks. 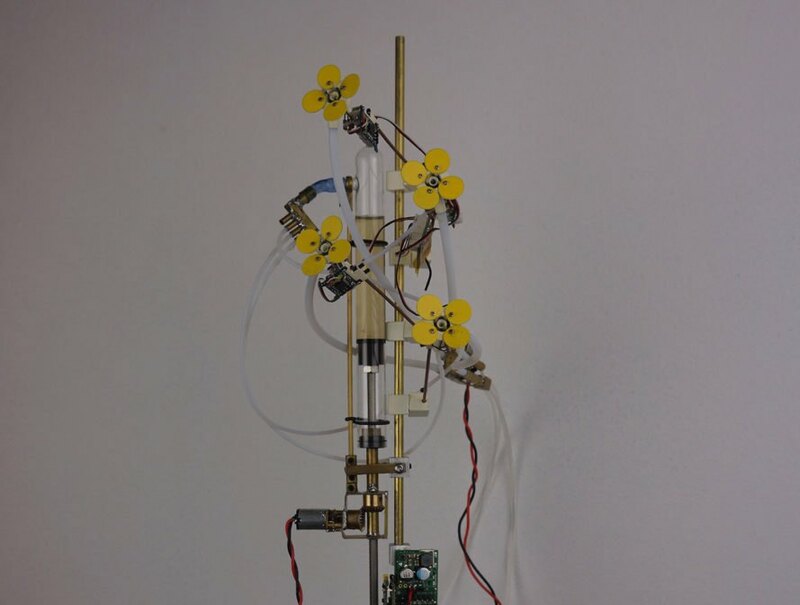 The Synthetic Pollenizer is a conceptual project that uses a system of robotic flowers safe for bees to pollinate compared to real plants (potentially contaminated with pesticides). 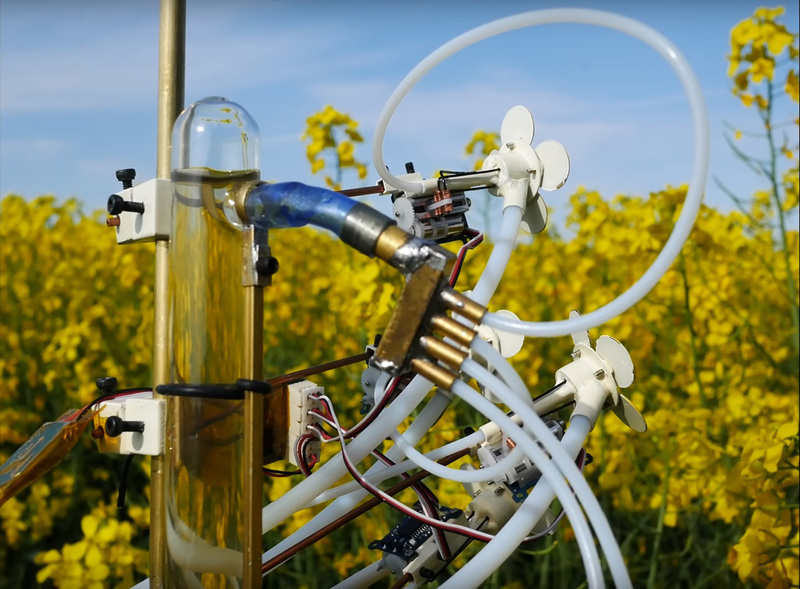 The robotic petals can stand alongside real plants and feature pollen, nectar and a synthetic stamen. 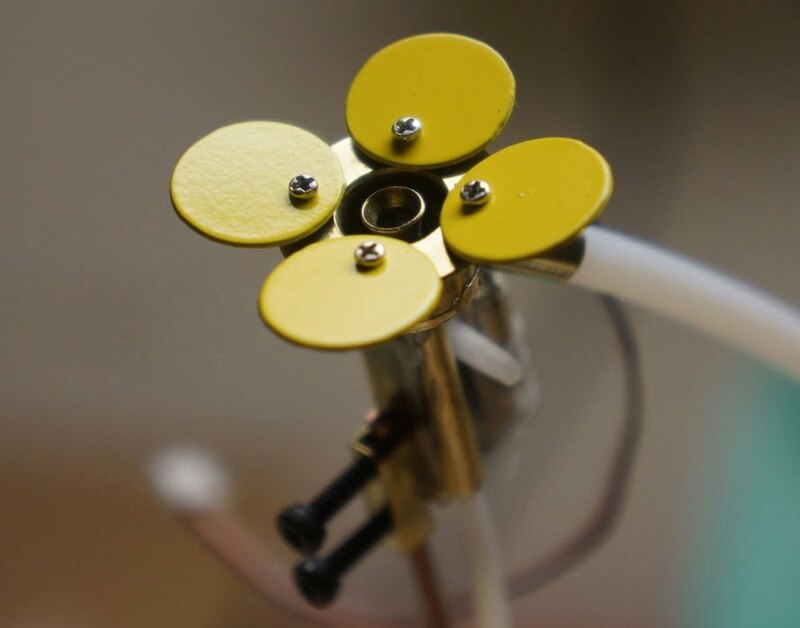 The flowers are connected to a network for motor and tubes which push a man-made nectar solution to the petal surface. A pollen trap fits over the hive entrance and collects leftover pollen pellets from the bees’ hind legs which Candy then feeds into the synthetic stamen. Bees pick up the pollen the same way they do from a real flower. 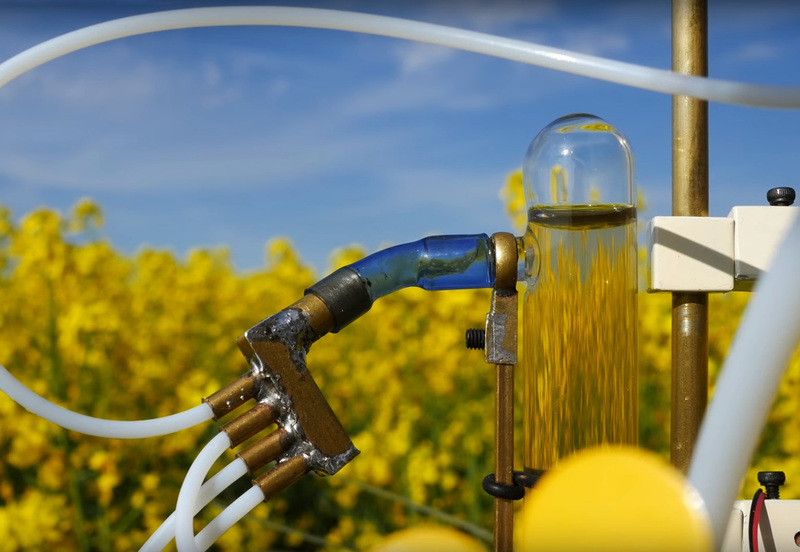 “Perhaps in a future where designer crops are no longer able to produce pollen yet still receive it, Candy said, “then the Synthetic Pollenizer could rehabilitate the reproductive cycle of these genetically modified crops”. Over the last 20 years we’ve seen a dramatic decline in bee populations. 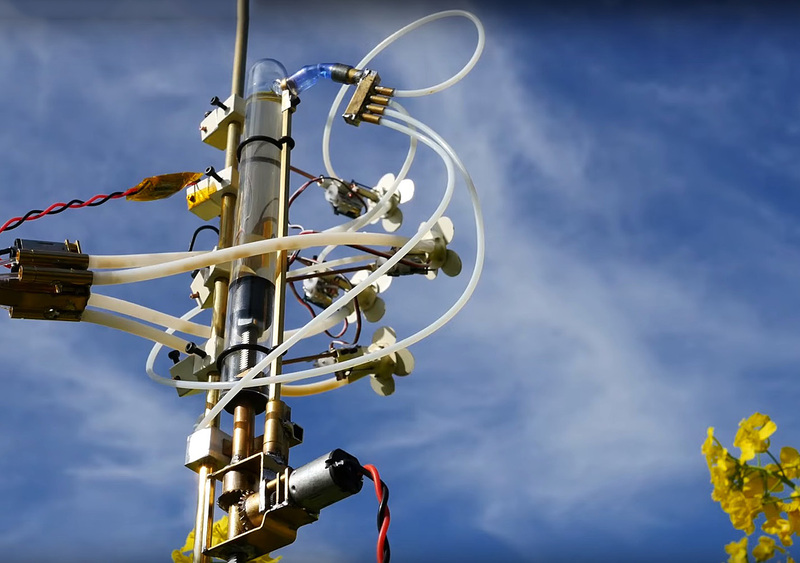 Brisbane-based artist Michael Candy has proposed a solution– the Synthetic Pollenizer project– that combines artificial pollination with 3D printing. 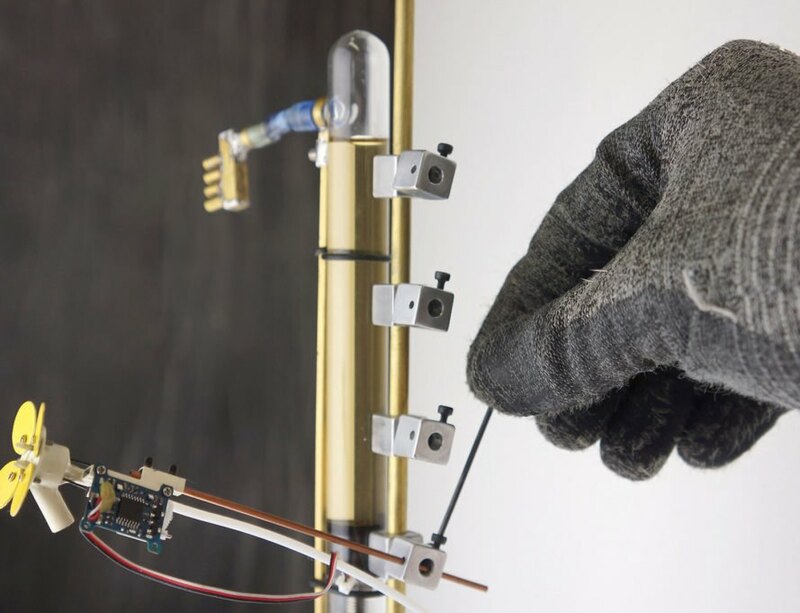 The Synthetic Pollenizer is a conceptual project that uses a system of robotic flowers safe for bees to pollinate compared to real plants. The color and form of the unit are important for attraction as bees have a variety of ways to identify flowers." 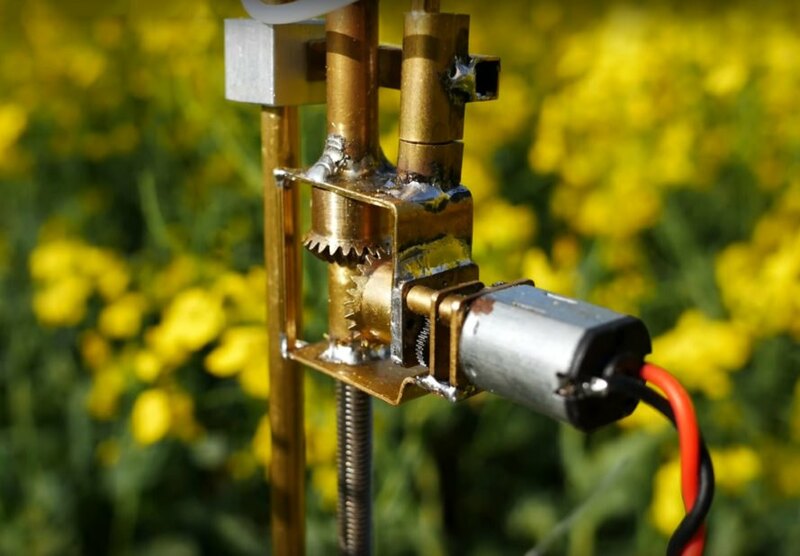 The flowers are connected to a network for motor and tubes which push a man-made nectar solution to the petal surface. 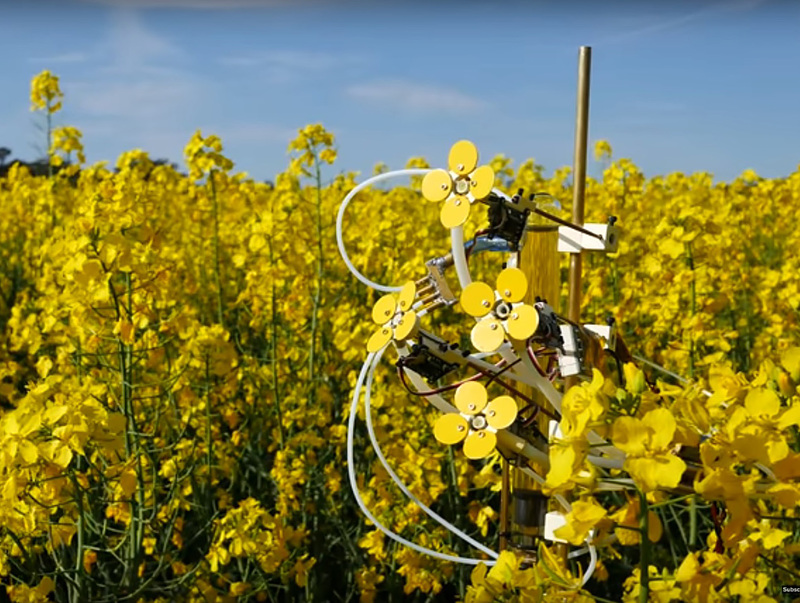 The robotic petals can stand alongside real plants and feature pollen, nectar and a synthetic stamen. "It has taken several years to successfully coax bees into landing on the synthetic pollenisers," said Candy. A pollen trap fits over the hive entrance and collects leftover pollen pellets from the bees’ hind legs which Candy then feeds into the synthetic stamen. Bees pick up the pollen the same way as they do from a real flower.